186 We must give ourselves in everything, we must deny ourselves in everything: the sacrifice must be a holocaust. Thanks to Elena for sharing this. She used it as an Examination of Conscience which is very fitting during this season of Lent. Do my children say their morning and night prayers? Are my children trained to be polite at all times? Do I teach my children to be good losers at play? Do I fail to recognize faults in my children because they are mine? Are my children learning to be calm when things go wrong because I myself am a patient mother? Are my children learning to be charitable and tolerant of the faults of others because I am charitable and tolerant? Have I fulfilled my obligations of instructing my children regarding holy purity, or have I allowed them to shift for themselves, getting their ideas from other boys and girls, bad movies and pictures, ungodly literature? 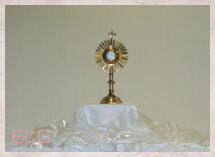 Is Christ the center of my life and of all that is done in my home? Is there a picture of Christ or His Mother in my living room and not just in the bedrooms? Is there a holy water font in each bedroom of my home? Do the members of my family pray grace before and after meals? Do my children know the Angelus because we recite it before grace in our home at noon and in the evening? Would Christ approve of the magazines and comic books I allow into my home? Is my phone used to receive and spread noble thoughts? 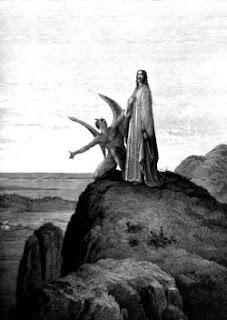 "Every day, but particularly in Lent, Christians must face a struggle, like the one that Christ underwent in the desert of Judea, where for 40 days he was tempted by the devil, and then in Gethsemane, when he rejected the most severe temptation, accepting the Father's will to the very end. The above is from He Gently Calls Us. It's nice to have Kay blogging again. 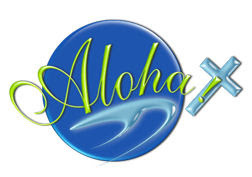 Look at the beautiful little Aloha icon Lisa of Catholic Desktops made! She is so sweet! 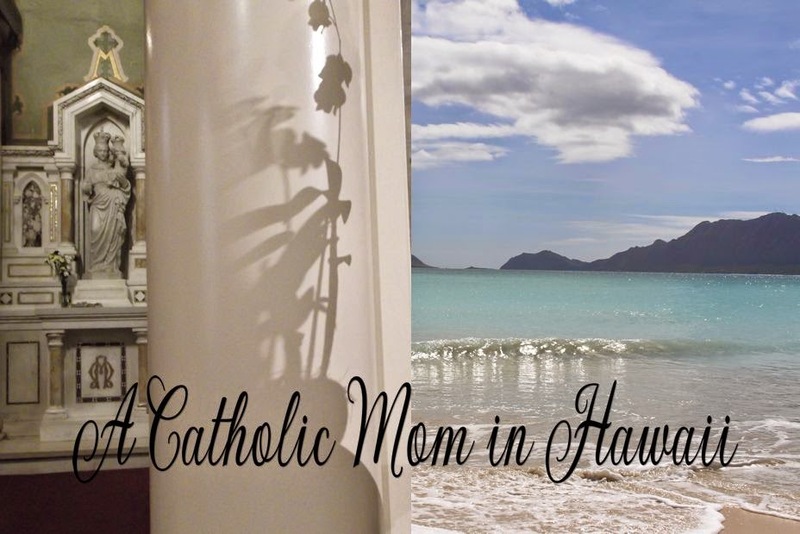 I hope you take a moment and read her post about the meaning of the word aloha. You can read it here. She even posted my favorite prayer to the Holy Spirit. That prayer has been a part of my email signature for many years now. more fully to your saving grace and new life. including our desire to reject sin and return to you. so that we may forgive one another as you have forgiven us. 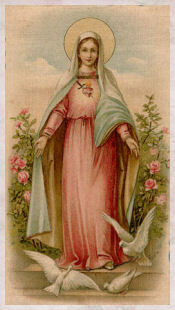 The patroness of the Universal Living Rosary Association is St. Philomena. 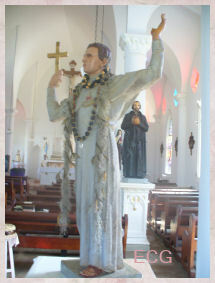 The little church Father Damien made famous in Kalawao is....St. Philomena. 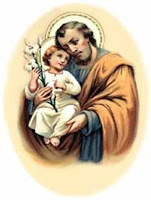 The Virtual St. Joseph Altar is Now Open! Be sure to take your time and visit everything on this site. Thanks Evann! 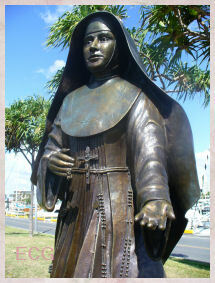 A big mahalo to The American Papist for this site! - Have I neglected the spiritual care of my spouse? - Have I allowed the busyness of life to crowd out my primary responsibility of caring for the spiritual needs of my spouse? - Have I put my own needs and desires ahead of the spiritual needs of my spouse? - Have I done anything that distracts my spouse from his/her spiritual desires? Have I failed to nurture the spiritual interests of my spouse? - Have I allowed my own fears or feelings of inadequacy to hinder spiritual activities with my spouse (i.e. prayer together)? 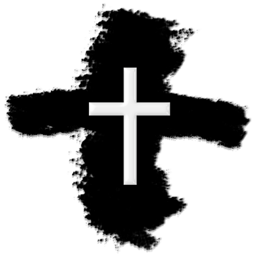 The foregoing is from a new blog I am following Catholic Spiritual Direction - Marital Spirituality Examination of Conscience. Be sure that you and your spouse read the rest of that post. Cheeky Pink Girl - The Sinful Nature of Facebook? 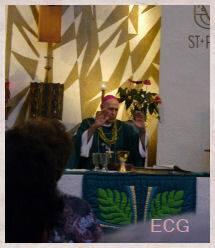 Wouldn't it be great if all diocese did followed suit? "I'm a Daddy to a Nun"
This one has bittersweet memories for my family. And the things she used to do. When I reach the golden gate. GENERAL INTENTION: That through the intercession of the Blessed Mother and St. Catherine of Siena, the Lord in His infinite mercy will grant to our beloved priests a mighty outpouring of the purifying power of the Holy Spirit for the reform of Holy Church and the renewal of her mission to the world; and may God soon grant to American Catholics the joy of seeing a great harvest of conversions and vocations to the priesthood as the fruit of the visit of His Holiness/ Pope Benedict XVI, to our country. 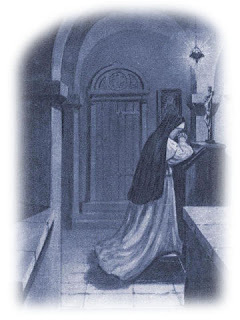 Catherine prays to the Father: 0 eternal Father, I remember your telling me once, when you were speaking of the ministers of holy Church, that at another time you would talk more at length about the sins these ministers are committing this very day. Therefore if it would please your goodness say something about this, so that I may have reason to intensify my sorrow and compassion and restless longing for their salvation. 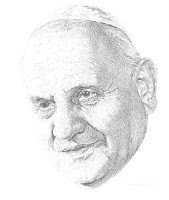 For I recall that you have already said that through the suffering and tears and sorrow, the sweat and constant prayers of your servants, you would refresh us by reforming the Church with good and holy ministers. Therefore 1 make my petition so that this may grow in me. 0 dearest daughter whom I so love! 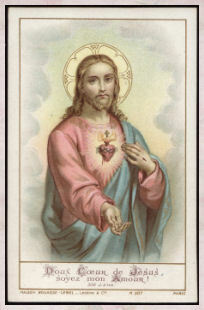 I will fulfill your desire in what you have asked of me only if you for your part will not be foolish or indifferent. . . . Make it your concern, then, to offer prayers for all people and for the mystic body of holy Church and for those 1 have given you to love with a special love. Do not be guilty of indifference about offering prayers and the example of your living and the word of teaching. Reprove vice and commend virtue. Do all this to the greatest extent of your power. To you, 0 heavenly doctor, my soul's boundless love, I sigh mightily.... I cry out to you: wait no longer, but through the merits of this pilot of your ship St. Peter, I mean—with the fire of charity and the deep abyss of eternal wisdom come to the aid of your bride who is waiting for help. . . . 0 worker of peace, guide this ship into the port of peace and direct your servants toward yourself so that the darkness may be lifted and the dawn may appear- the dawn which is the light of those who have been planted in your Church out of pure desire for the salvation of souls. . . .
God speaks to Catherine: 0 dearest daughter, I have told you all this so that you may better know how 1 have dignified my ministers, and thus grieve the more over their wickedness. If they themselves had considered their dignity, they would not have fallen into the darkness of deadly sin nor muddied the faced of their souls. 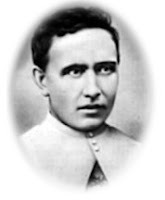 Not only have they sinned against me and against their own dignity, but even had they given their bodies to be burned they would not have been able to repay me for the tremendous grace and blessing they have received, for it is impossible to have a greater dignity than theirs in this life. God speaks to Catherine: I demand purity and charity of every soul, a charity that loves me and others, and helps others in whatever way it can, serving them in prayer and loving them tenderly. But much more do I demand purity in my ministers, and that they love me and their neighbors, administering the body and blood of my only-begotten Son with burning love and hunger for the salvation of souls, for the glory and praise of my name. God speaks to Catherine: I have already told you that I have made [Christ] a bridge for you so that all of you would be able to reach your goal. But in spite of all this, … people do not trust me, though I want nothing other than their sanctification. It is to this end, with great love, that I give and permit everything. But they are always scandalized in me, and I support and bear with them in great patience because I loved them without their ever loving me. And they are forever hounding me with great impatience and hatred, with complaining and infidelity. They with their blinded vision want to set themselves up as investigators of my hidden judgments, which are made justly and out of love. And they do not yet even know themselves, so they see falsely. For those who do not know themselves do not know me or my justice in truth. INTENTION: That an increased fervor for the sacraments, especially the Holy Eucharist, may become the basis for an authentic reformation of the clergy and a new evangelization of the laity. 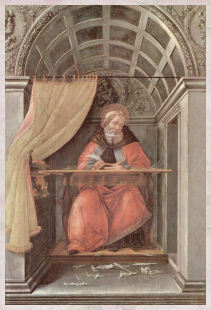 God speaks to Catherine: [I]f you should ask me why I said that this sin of those who persecute holy Church is graver than any other sin, and why it is my will that the sins of the clergy should not lessen your reverence for them, this is how I would answer you: Because the reverence you pay to them is not actually paid to them but to me, in virtue of the blood I have entrusted to their ministry. If this were not so, you should pay them as much reverence as to anyone else, and no more. 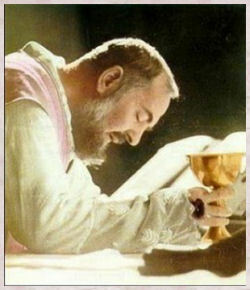 It is this ministry of theirs that dictates that you should reverence them and come to them, not for what they are in themselves but for the power I have entrusted to them, if you would receive the holy sacraments of the Church. 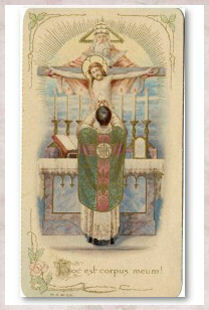 For if you refuse these when it is in your power to have them, you would live and die condemned. 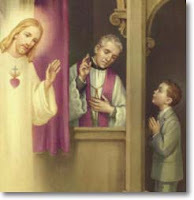 INTENTION: For those priests who have fallen into grave sin and betrayed the grace of their ordination and the trust of their flocks—and for those bishops who refused to call them to account – that they may truly repent and receive the grace of conversion; and for the victims of clerical abuse, that justice will be done and the wounds inflicted on them will be healed. 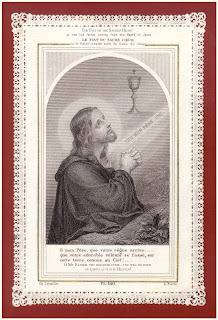 God speaks to Catherine: Now you see how blind people are, especially these wretches [faithless priests], because they have received more from me and been more enlightened by Holy Scripture, they are so much the more obligated. So they reap more unbearable confusion. Because they knew more of Holy Scripture in their lifetime, in death they know more clearly how greatly they have sinned and are allotted greater torment than others, just as the lot of good [ministers] is more magnificent. .. .
Catherine prays to the Father: Oh, you are a good shepherd to have given us your only-begotten Son to be our true shepherd who in obedience to you laid down his life for your little sheep and made of his blood a bath for us. It is this blood that your servants, hungry as they are, are asking for at this door. They are asking you through this blood to be merciful to the world and make holy Church blossom again with the fragrant flowers of good and holy shepherds whose perfume will dispel the stench of the putrid evil flowers. 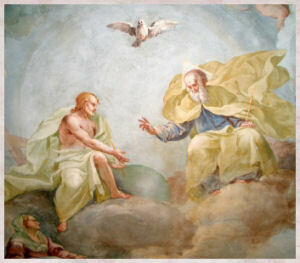 INTENTION: For the grace to persevere in prayer for our priests and to trust, never doubting, that through the power of the Holy Spirit and the intercession of the Blessed Virgin Mary and all the angels and saints, the suffering endured by the Faithful in this time of trial will be transformed into a glorious victory for Christ and His bride. Holy Church. 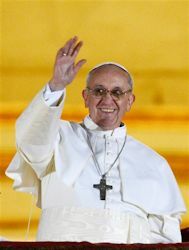 And you, dearest children, since we are committed, it is time to work for Christ's Church, the true mother of our faith. So I urge you who have already been planted in this Church to be like pillars for her. 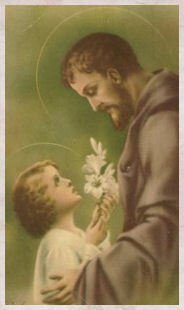 Let all of us together, having cast off all selfish love and laziness, work for that in this garden of saving faith with the fervor of prayer and with our deeds, that we may perfectly fulfill the will of God eternal, who has called us to this for our own salvation and that of others, and for the unity of this Church in which is our souls' salvation. Come, Wind of Heaven, and free from the haze of confusion those priests whose minds have been darkened by dissent or whose hearts are paralyzed by fear of public rebuke. Grant them clarity of vision, strength of soul and the courage they need to cherish the Gospel and speak the truth to error. Mother of God, we beg you to intercede for us. With St. Michael and all the heavenly host, wage war against the evil one who seeks so relentlessly to destroy Holy Church by assaulting her priests, and wrest from this crisis a blessing beyond all imagining. Peace is but an empty word if it does not rest … on truth, built according to justice, nurtured and animated by charity,and put into practice in freedom.